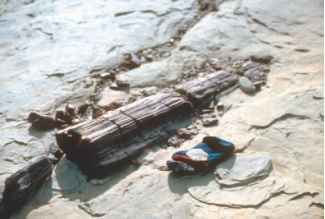 Figure 1.4 Permineralized wood extending from paleostream channel in the Triassic of Antarctica. FiguRE 1.3 Compressed pinna showing detail of pinnule vena- Figure 1.5 Section of Antarctic wood (Triassic) showing sev-tion (Cretaceous). Bar = 2 cm. eral growthrings. Bar = 1.4 mm. 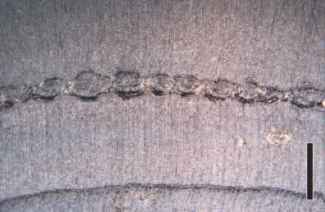 Figure 1.6 Frost ring in Triassic permineralized wood from Antarctica. Bar = 3 mm. 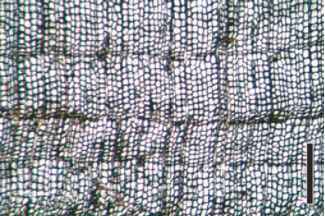 to know why certain types of plants developed the capacity to produce secondary tissues (such as wood), whereas others have remained small throughout their geologic history. A number of paleobotanists study not only the plants themselves, but also the interactions of the plants with other organisms in the environment, especially the symbiotic interrelationships between plants and other organisms. For example, today almost all terrestrial plants possess mutualistic associations with fungi that inhabit their roots (mycorrhizae). Paleobotanists want to know when and why these associations became established, why they are absent in some groups today, and why only certain types of fungi form these associations. Can the fossil record of plants tell us anything about various biological activities that existed millions of years ago, such as the interactions between plants and certain groups of animals that use plants for food or protection? What types of evidence can be used, and what information does this provide about the interdependence of organisms through time? Can we determine from the fossil record if plants possessed certain features that served to attract pollinators, or produced edible seeds, or whether some plants produced certain chemicals that deterred herbivory? The answer to all these questions is a resounding YES! There is a multitude of information that can be gleaned from careful examination of the plant fossil record, and the types of information that we can obtain are constantly increasing as more and more research is done on fossil plants.